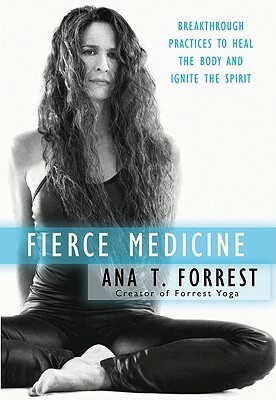 In Fierce Medicine, Ana Forrest, charismatic teacher and founder of Forrest Yoga, combines physical practice, eastern wisdom, and profound Native American ceremony to help heal everything from addictive behaviors and eating disorders to chronic pain and injury. Fierce Medicine is also part memoir, detailing Ana Forrest's journey to move beyond her past as she helps others to do the same. Filled with helpful yoga exercises, Fierce Medicine teaches us to reconnect with our bodies, cultivate balance, and start living in harmony with our Spirits.